Wholesome Fresh is a casual restaurant-convenience store hybrid that opened in the Square Thursday. 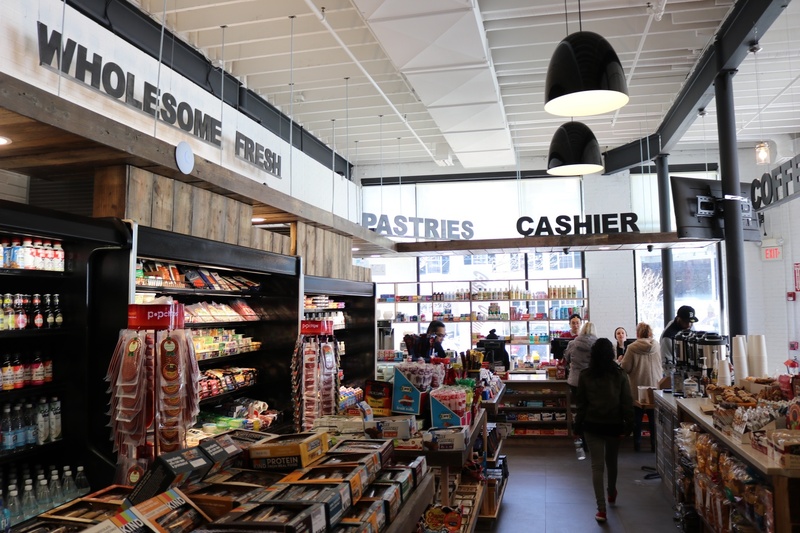 Wholesome Fresh, a casual restaurant-convenience store hybrid that started in Rhode Island, opened its doors to Harvard Square Thursday morning in the property formerly occupied by Market in the Square. This is Wholesome Fresh’s second location; it started in Newport, R.I. Britni M. Price, an employee at the new location, said she was optimistic about the new location, calling Harvard Square a “gold mine.” She noted that this store is bigger than the one in Rhode Island. “Most of the things we have have no artificial ingredients,” she added. Denise Jillson, the executive director of the Harvard Square Business Association, said she was impressed by the store’s warm atmosphere. Brandon Wang ’18 said he was excited to see that the new store offered similar goods as Market in the Square, the popular store it replaced. He said he believes the organic options—which he said are probably better in quality than Market’s offerings—differentiate it from Market, which he considered more geared towards college students. Market shuttered in Nov. 2017 after the Middlesex County Sheriff's Department seized the property. The seizure resulted from the deli's inability to pay rent, Jillson said at the time. —Staff writer Henry W. Burnes can be reached at henry.burnes@thecrimson.com. —Staff writer Franklin R. Civantos can be reached at frank.civantos@thecrimson.com.